Words cannot adequately express how much I love this hot water-making machine. As an avid tea drinker who was once reduced to boiling water on her brother’s stove in a sauce pan with no lid and nearly burning the house down, I’m sure you can imagine my delight (and my brother’s relief) when I received the Hamilton Beach Programmable 1.7 Liter Electric Kettle, Model 40996 for Christmas last year. This sleek, unassuming kitchen appliance has more useful features than you can shake a stick at. The base plugs directly in to the wall, taking up 48 sq inches of counter space. It’s programmable, so you can set it to start boiling water the minute you wake up in the morning. And, if you happen to sleep in, you can rest assured that your water will still be hot by the time you slither out of bed: the kettle reheats automatically every five minutes or so, maintaining the set temperature for up to one hour. This handy device also allows you to choose the water temperature, with five preset temperatures and buttons for manual adjustment in 5 degree increments. This feature is incredibly useful for tea buffs. Before I started drinking loose leaf tea, I had no idea that green tea should not be steeped in boiling water, but rather 175 degree water. With this 1,500 watt electric kettle, you can control that aspect of your tea drinking experience with ease — even change from Fahrenheit to Celsius. For accident-prone people like myself, the biggest perks of this electric kettle are its safety features. As its name implies, the Hamilton Beach Programmable 1.7 Liter Electric Kettle #40996 boils up to 1.7 liters of water in about 7 minutes, much faster (and safer) than boiling it on the stove. Stove top boiling runs the risk of leaving the burner on and boiling the water away, potentially damaging the stove and the kettle itself. This electric kettle provides an automatic shut-off after 1 hour to prevent just such an occurrence, with a countdown timer for the curious. And, if the water does happen to boil away before that hour has elapsed, it will shut itself off anyway. It’s like having ‘Did-I-leave-the-oven-on?’ insurance! Some extraneous features include a push-button lid to reduce spills when pouring, a transparent slit for checking the water level, removable water filter inside the spout, stainless steel finish, and one-year warranty. The only downside that I have discovered with this otherwise amazing product is the waste of electricity that comes with keeping water at a certain temperature when you might not necessarily need it. I always unplug my kettle after it’s boiled, just to save a little energy. In addition, the kettle does not actually make any noise alerting you when you’re water’s ready…but maybe that’s not such a bad thing after all. Nothing like the incessant shriek of a boiling kettle to make you lose your cool! Behind every good bowl of ramen is a pot of boiling water! 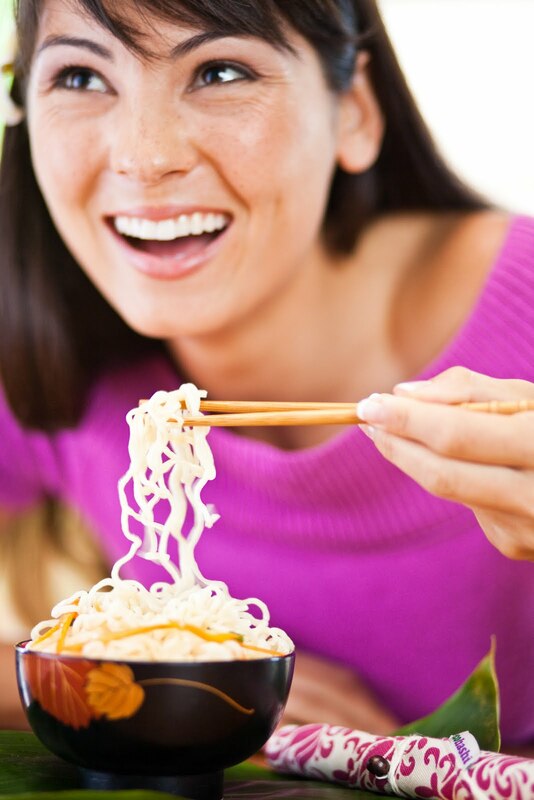 I would HIGHLY recommend this product for tea drinkers, college students who eat too much ramen, busy parents — anyone looking to boil water safely and quickly. This electric kettle leaves you with peace of mind, unlike standard stove top kettles that can cause damage to your stove if forgotten or left unattended. 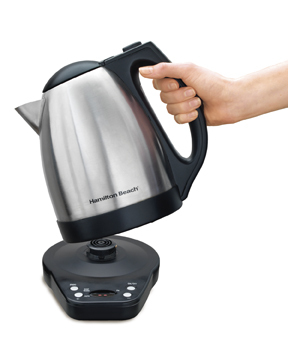 The Hamilton Beach Programmable 1.7 Liter Electric Kettle (model #40996) is DEFINITELY worth every penny. Just wondering if the inside is metal as well? I don’t want that plastic taste! Thanks.